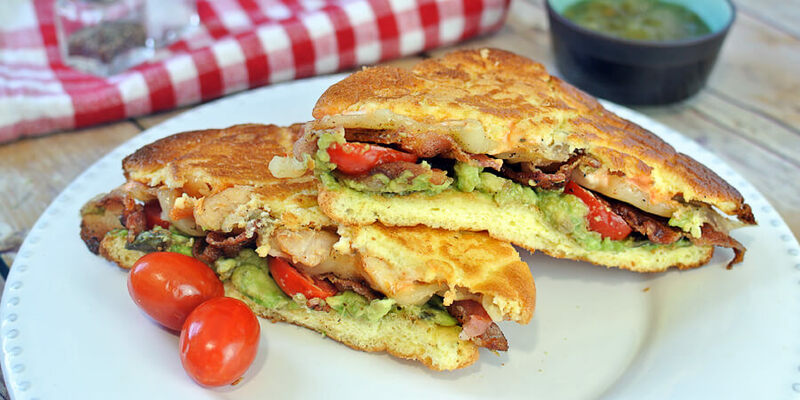 I’ve been a fan of Keto Cloud Bread ever since I did the Strawberry Shortcake recipe with them. They’re simple to make, don’t take too long, and are really versatile to keep around and stick pretty much anything on them. If you plan to make a large batch to save in the fridge or freezer, make sure you keep them neutral in sweetness/savory and leave out any additional ingredients besides the eggs and cream cheese. 1. Preheat the oven to 300°F. 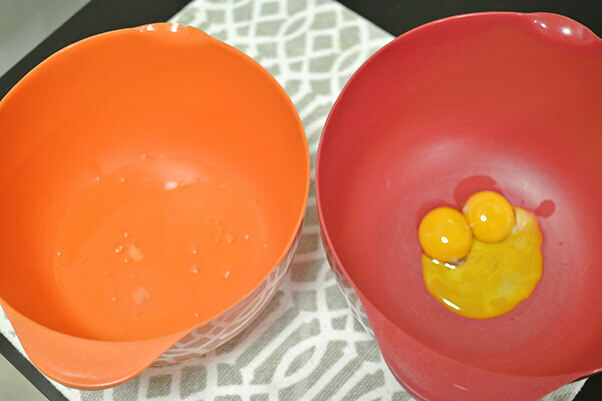 Begin separating 3 eggs into to two clean, dry bowls. 2. Add cream of tartar and salt to the whites. 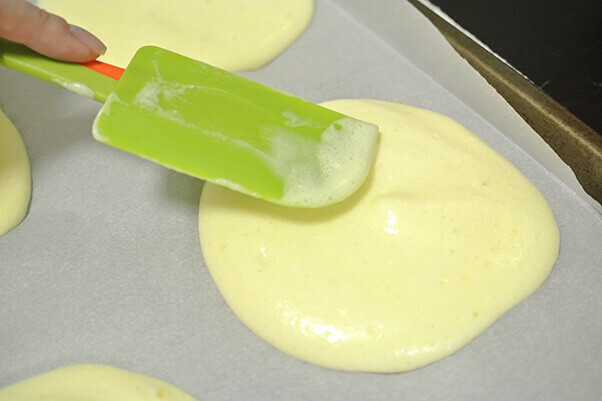 Using an electric mixer, whip the egg whites until you see soft, foamy peaks form. 5. 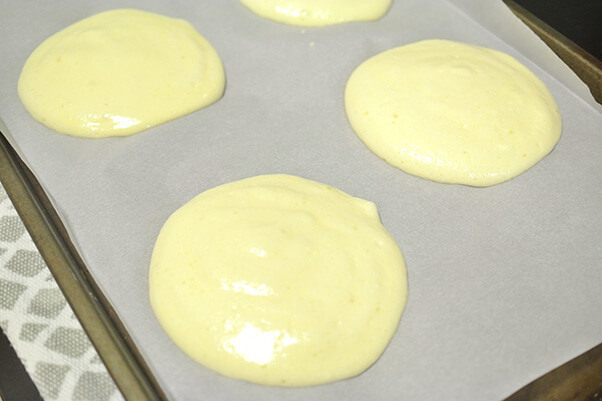 On a parchment paper lined baking sheet, spoon about ¼ cup of the keto cloud bread batter into six rounds. This recipe makes 6 large keto cloud bread. 8. 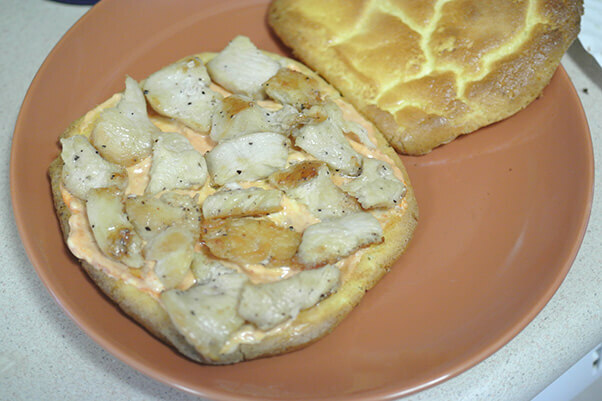 To arrange the sandwiches, begin by combining mayo and sriracha and spread 1/3 onto the underside of three keto cloud breads. Add your chicken on top of the spicy mayo. 9. 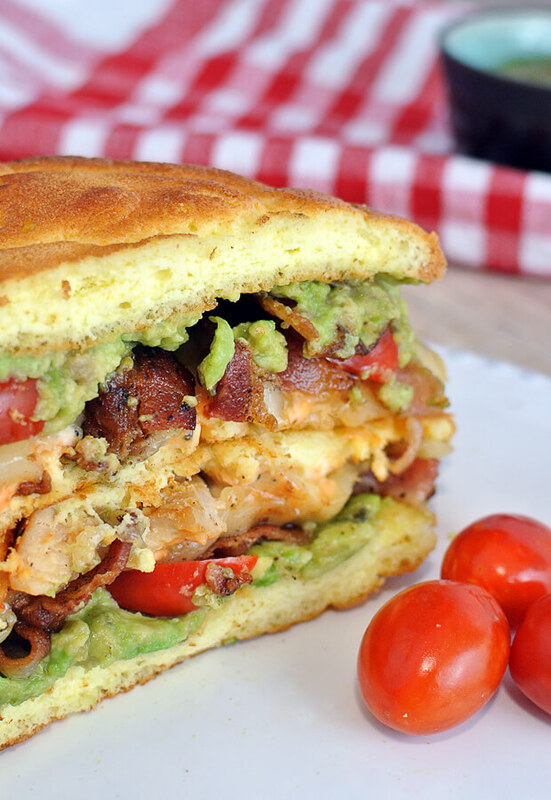 Add 2 slices of pepper jack cheese, 2 slices bacon, 2 halved grape tomatoes, and spread 2 ounces mashed avocado on top of each sandwich. Season to taste, then top with the remaining keto cloud breads. Preheat the oven to 300°F. 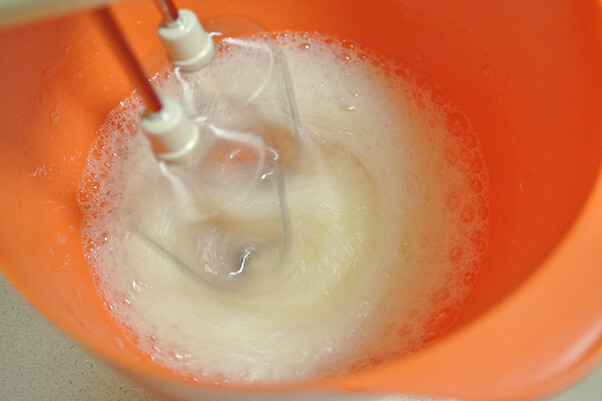 Begin separating 3 eggs into to two clean, dry bowls. Add cream of tartar and salt to the whites. 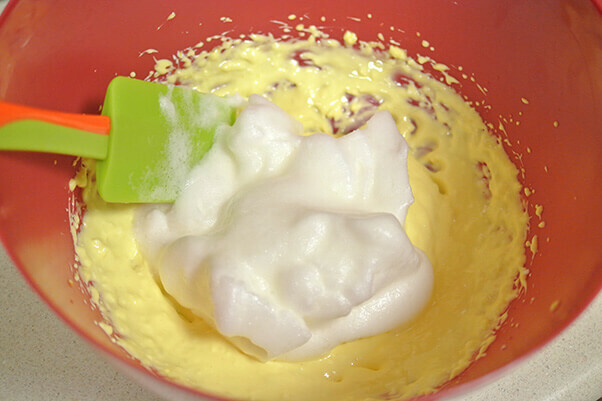 Using an electric mixer, whip the egg whites until you see soft, foamy peaks form. In the other bowl, combine 3 oz. 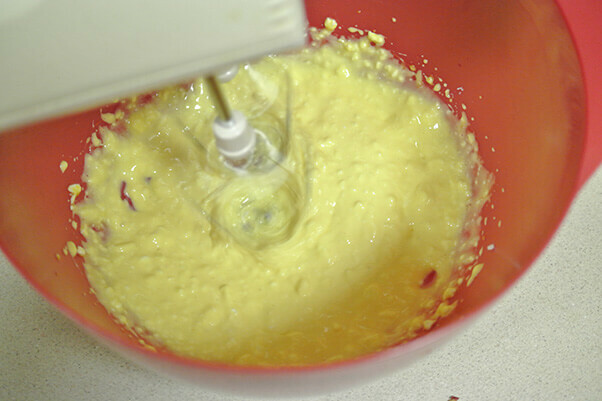 of cubed cream cheese with the egg yolks and beat until a pale yellow color. Gently fold the egg whites into the yolks, half at a time. On a parchment paper lined baking sheet, spoon about ¼ cup of the keto cloud bread batter into six rounds. This recipe makes 6 large keto cloud bread. 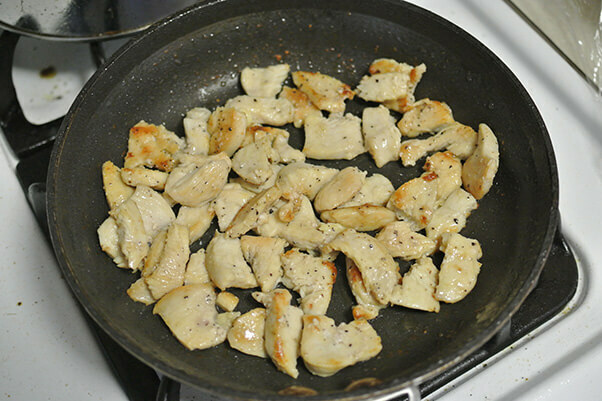 While the keto cloud bread are baking, cook the chicken and bacon with some salt and pepper. To arrange the sandwiches, begin by combining mayo and sriracha and spread 1/3 onto the underside of three keto cloud breads. Add your chicken on top of the spicy mayo. 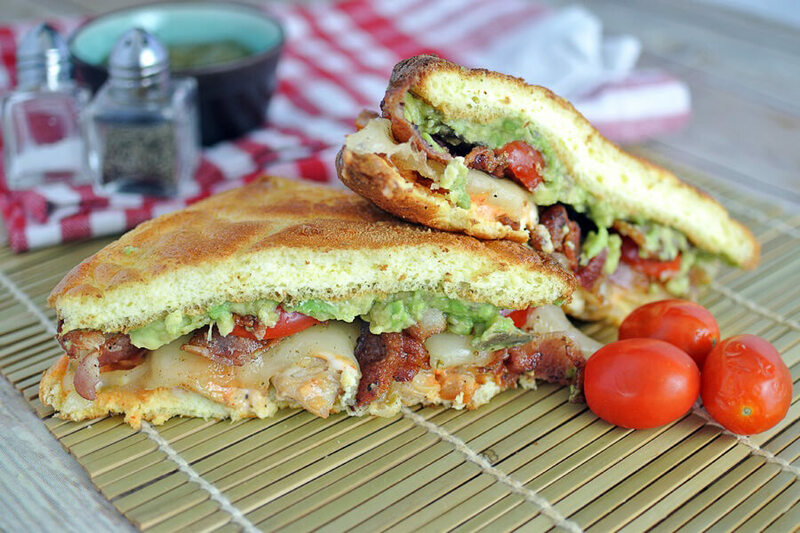 Add 2 slices of pepper jack cheese, 2 slices bacon, 2 halved grape tomatoes, and spread 2 ounces mashed avocado on top of each sandwich. Season to taste, then top with the remaining keto cloud breads.